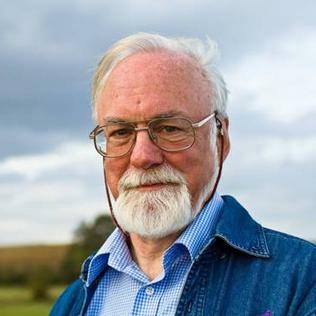 The piano played an important role in John McCabe's life (though evidently cricket was also as important). Of his 200+ works, over 30 are for solo keyboard and as a pianist, his recordings include a landmark complete Haydn sonatas. This disc on Primafacie is the first volume in The Complete Piano Works of John McCabe, on this disc pianist, Jane Ford's selection of pieces ranges across McCabe's entire career from the 3 Impromptus of 1959 to the Berceuse of 2011. What is remarkable about the disc is how consistent McCabe's voice is across the entire career, that sense of intelligent complexity combined with lyricism. Many of the pieces on the disc are tiny, little gems in which McCabe gestures with a particular idea or mood. The music is quicksilver and varied, sometimes dramatic and sometimes amazingly simple, with ideas in profusion. The impromptus and bagatelles really emphasise these changes of mood and almost style. For those who have followed McCabe's career, the Paraphrase on 'Mary Queen of Scots' is a tempting evocation of his 1976 ballet, a fascinating Lisztian paraphrase which uses dramatic material that combines the lyrical with spikier modern elements in striking fashion. The other larger scale pieces are the last three, Tunstall Chimes from 2004, the strikingly dramatic Epithalamium from 2006 with its brilliant moments and sense of narrative, and the darkly evocative Berceuse from 2011. In fact, Epithalamium is another one of McCabe's homages, this time to Mussorgsky and derives its material from the Coronation Scene in Boris Godunov, and the title comes because it was written to celebrate a wedding anniversary. And Tunstall Chimes is full of wonderful textures evoking another homage, this time to Ravel as McCabe uses the piece as a study of bell-like sonorities. Jane Ford plays all the music with engaging and lively intelligence. The recording brings out the neo-classical clarity of McCabe's pieces, with beautifully realised textures and lively rhythms. This is very much a taster-volume, there are some meatier works by McCabe which hopefully will pop up on later volumes. Complete surveys are often rather hard to articulate in terms of programming, but I did wonder whether it was wise to include so many smaller and early pieces, will a more casual love of 20th century piano music be tempted by a recital which includes the eight early smaller pieces as well as Afternoons and Afterwards, charming though they are. 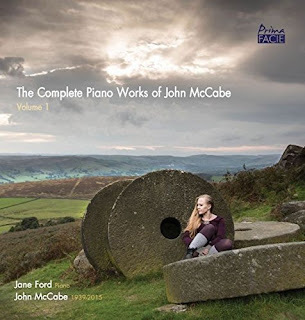 Lover's of McCabe's music will, of course, want his own recordings of his piece, but this new survey should prove invaluable in illuminating all areas of McCabe's keyboard output, with pianist Jane Ford providing a lively, modern voice.